Everything’s going wireless these days and mostly for good reason. Wires can be a real pain to manage and in the case of alarm systems, they can be a point of vulnerability. Although wireless alarm systems are never completely invulnerable, if you install them properly, they can be a whole lot harder to crack than traditional wired systems. There might be a bit of confusion here, so let’s clear it up. Smart doorbells are often advertised as a security enhancement for your home and indeed they are. A typical smart doorbell will let you see when someone is at your door and let you talk to them without opening it, indeed without even being present in the house. This has obvious security benefits. What a smart doorbell will not do, however, is monitor other points of entry to your home (e.g. your windows), nor will it create an audible alert if it detects an intruder. In other words, smart doorbells can enhance alarm systems but they do not replace them. Not to put too fine a point on the matter, the reason why old-fashioned audible alarms have been updated for the 21st century rather than replaced completely is because they provide a meaningful deterrent to burglars and hence increase the likelihood that they will leave your property alone, whereas the likes of smart doorbells just send you notifications after the event (assuming the burglars enter via the door), which may be better than nothing, but is definitely nowhere near as good as stopping the burglary from happening in the first place. At the risk of stating the obvious, if you want to use a wireless alarm system which connects to your WiFi, then you’re going to need a decent WiFi connection which reaches the place(s) you want to cover with the alarm. If you’re installing the alarm indoors then this is unlikely to be an issue, but if you’re installing it outdoors, then we’d suggest that you check that the signal remains stable even when atmospheric conditions are bad (e.g. heavy rain). Another point to remember is that wireless alarm systems (like many other smart devices) often have a central control hub which needs a direct, physical connection to your router. If your router’s ports are already full, you just need to invest in a network switch (also known as an Ethernet hub), to increase them. These are affordable to buy and straightforward to install. Aside from these points, wireless alarm systems work in much the same way as their wired counterparts, i.e. they use cameras and/or sensors to detect possible intrusion and then, unless deactivated by a legitimate user, sound an alarm. We’ve avoided recommending systems with cameras as they can be questionable from a legal perspective (for the record smart doorbells are usually acceptable as they are only triggered if someone actually goes up to your specific door). Sensors essentially come in two forms. There are window and door sensors, which react when a window or door is opened and there are motion sensors, which, as their name suggests, pick up motion. Generally speaking, window and door sensors are a more sensible option for protecting a house as they are much less likely to be set off accidentally. Motion sensors can, however, be a good option for outdoor alarms, just as long as you site them with appropriate care. NB: Be aware that motion sensors can be really sensitive, as in they can be triggered by the likes of sunlight and insects, at least bigger ones. Therefore, you really need to ensure that they are installed out of direct sunlight and if you are using them outdoors, you need to protect hem from wind and rain as well. You also want to try to avoid installing them on UPVC or metal because this can reduce the transmission range. Detection range is essentially irrelevant for window and door sensors, it only applies to motion sensors and basically refers to the range over which they can detect the changes in heat patterns which indicate motion. Transmission range applies to both window and door sensors and motion sensors. It refers to the distance over which a sensor can communicate with the control unit. NB: Manufacturers’ descriptions of both detection and transmission ranges tend to be under standard (for which read ideal) circumstances. It is therefore a good idea to err on the side of caution when choosing a wireless alarm system and pick one which has a suggested range which is greater than you actually need. It’s also strongly recommended to test your wireless alarm system in its real-world location before you start relying on it. One important point to note about wireless alarm systems is that the sensors are powered by batteries (rather than having power supplied by wires), so obviously they are only going to work when their batteries do. The onus is on you to keep an eye on this. Likewise, you will need to check that the sensors are still firmly attached to the place they are supposed to be, although this also applies to wired installation. If you use decent tape, sensors are highly unlikely to move by themselves, but someone may try to give them a discreet helping hand along. The sirens for audible alarms can be placed internally or externally. This decision is basically a matter of judgement. Internal sirens may make life uncomfortable for an intruder, but they are less likely to be heard by the neighbours. External sirens are more likely to be heard by the neighbours but if you set up your wireless alarm system so that it generates frequent false positives, then you may make yourself rather unpopular. As a final point, for the sake of completeness and clarity we’d like to mention that some of these wireless alarm systems can be operated by a remote control. You don’t have to worry about an intruder just buying themself a compatible remote control and disabling your wireless alarm system. There are safeguards in place to stop this from happening. The standard approach is to pair a specific remote control with the wireless alarm system so that they only work together. If you lose your remote, you can still buy another and pair it with your wireless alarm system. Here is a round-up of what we consider to be the 6 best alarm system in the UK today. Our list is based on a combination of performance, reliability and value for money at each price point. For the record, there are some very good wireless alarm systems we haven’t mentioned here, purely because they are not widely available on the UK market. If this changes, we’ll update our list. This is a budget-friendly option for protecting smaller areas outside your home. The sensors have a motion-detecting range of 5 up to 8 m and a transmitting range of up to 100m and you can choose to be alerted by a ringer and or a flashing LED. The ringer has a volume of up to 100dB and three modes, which are low chime, high chime and alarm. If your needs expand, this receiver can be paired with up to 50 sensors. If you need a wireless alarm system to withstand the worst the elements can throw at it, then this wireless alarm system could be the one for you. Not only can it withstand bad weather, but the sun hood helps to stop this wireless alarm system from being triggered by sunshine (however infrequent). Motion detection range is up to 12m and transmission range is up to 150m (under standard conditions). The receiver is divided into four zones and each zone can support up to 4 sensors, so basically you can have up to 16 sensors per receiver. If you need more, you can add more receivers. In addition to giving you a choice of audible and/or visual alert (flashing LEDs), you also have a choice of 30 different audible alerts to make it easy to tell exactly which sensor was triggered. 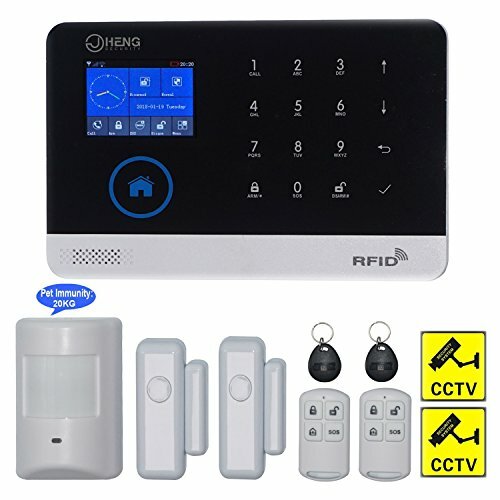 If you’d like the flexibility of a wireless alarm system, but are concerned about the quality of your WiFi (or lack thereof), then this wireless alarm system could be a great solution as it supports both WiFi and cellular networks (GSM Frequencies: 850/900/1800/1900MHZ). Please remember that if you wish to use this wireless alarm system on the mobile network, you will need an active SIM card. 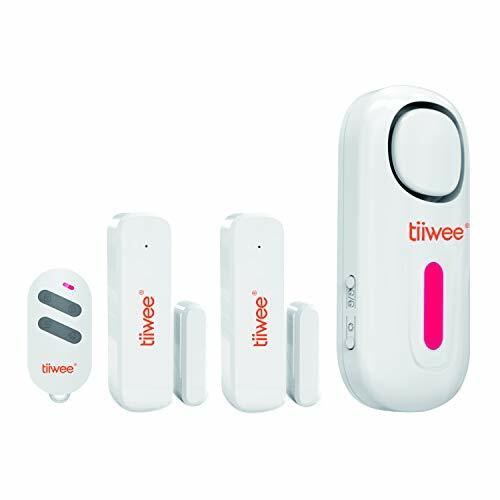 In principle, the sensors will have a detection range of up to 12m and a transmission range of up to 100m, however this wireless alarm system was clearly designed to be used inside homes and small businesses, where its range could be greatly reduced by barriers such as walls and furniture. 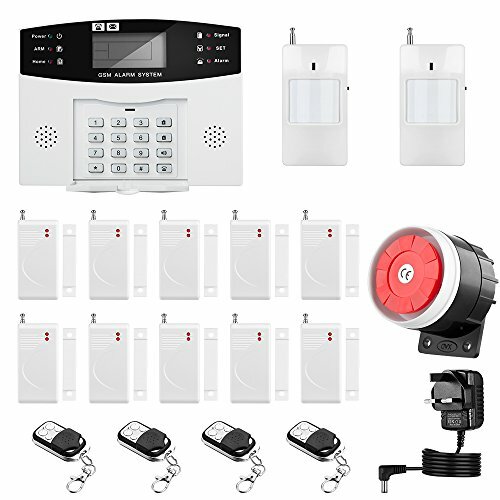 Therefore it is particularly important to test this wireless alarm system in a real-world situation before deciding whether or not you can rely on it. This wireless alarm system offers a lot of flexibility in its use. For example, it can support no fewer than 99 defence zones and 6 modes of alarm system: Arm/Stay Arm/Disarm/Trigger/Exit delay/Entrance delay. Arming and disarming can be set on an automatic timer and also operated remotely by phone. This wireless alarm system from Thustar will also work on both WiFi and the cellular networks (GSM Frequencies: 850/900/1800/1900MHZ) and it also supports 99 defence zones which can be classed as one of four types: real-time, delay, 24 hours, bypass programming function. These minor differences aside, pretty much everything we said about the JC wireless alarm system also applies to the Thustar wireless alarm system, including the recommendation to test this wireless alarm system before putting your confidence in it and the fact that you will need an active SIM card if you want to use this wireless alarm system on the mobile network. 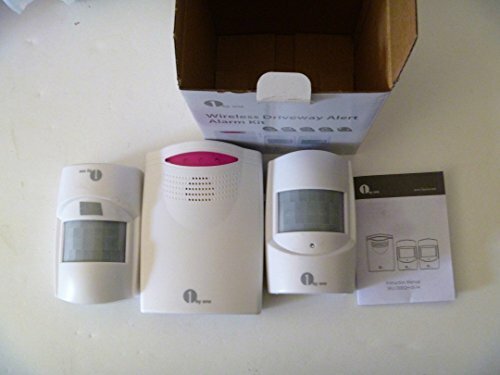 This wireless alarm system is marketed as a starter system and we think that’s a fair description, although it does rather understate its quality. One important point to note about this wireless alarm system is that although it uses wireless signals it does not need to be linked up to a WiFi connection (or a cellular connection), which makes it a popular choice for securing “off grid” places such as caravans and boats. Each alarm unit can support up to 40 sensors, which have a transmission range of at least 50 metres and alert is via your choice of chime (which is pretty loud) or alarm, which is up to 120 decibels. Installation is really simple and if you decide to add any accessories at a later date, this is also very straightforward. Our one slight gripe about this product is that you can actually set off the alarm with the remote more easily than you might have thought so you do need to be a bit careful about carrying the remote in your pocket, but on the plus side, the system overall is very easy to use. 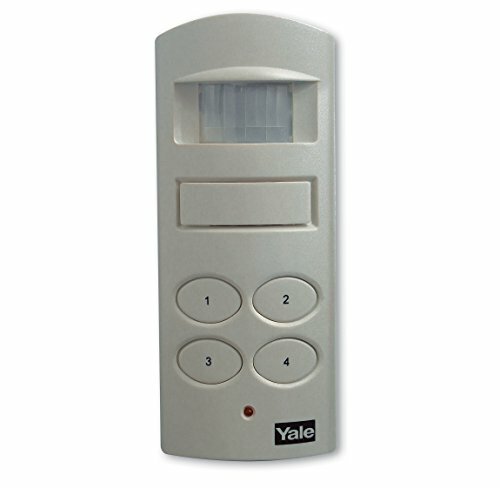 This wireless alarm system from Yale is an affordable and effective way to secure vulnerable outbuildings such as sheds and garages. The all-in-one unit contains a motion detector (with a range of up to 12 metres), a PIN pad and a siren. Upon motion detection, either the correct PIN is entered within 10 seconds or a 100-decibel alarm will sound. The unit runs on 4 AA batteries and has a low-battery indicator. Although it’s a wireless alarm system it doesn’t need to be connected to WiFi or to the phone network. What is the best wireless alarm system on the market? As always, the best wireless alarm system on the market is the one which best suits your needs. The JC and Thustar wireless alarm systems are both very comprehensive, but may be more than you need for your situation. The 1byone and the tiiwee by contrast are both simple but effective indoor solutions. 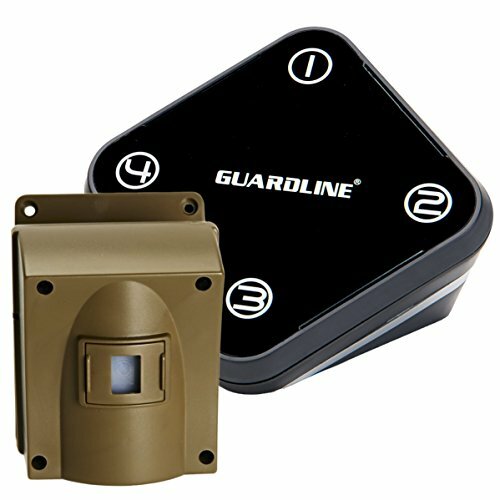 If you’re looking for an outdoor wireless alarm system then the Guardline is certainly the high-performance option but the Yale wireless alarm system has a lot to offer those who simply want a basic but effective and budget-friendly solution.